We are excited to announce we've got puppies! 8 boys and 2 girls were born 10/20/17 by BIS/BISS AM CAN CH Windwood Northern Lights x AmCh Windwood Intaglio of Shadyview. We are excited to announce two litters coming Spring 2017. 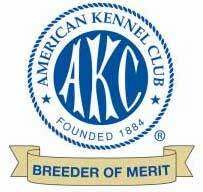 We're looking forward to the new year with new puppies, new competitions and a new website. Ch. Windwood Illumination (Lily) has been bred to Ch. Captiva Saved by the Bell. 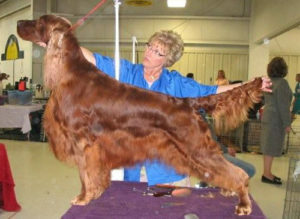 For more information on the sire, please visit the Captiva Irish Setters' web site. This is a repeat breeding that produced Nick and Nora.